The Diocesan Youth Leadership Team is comprised of youth committed to service and the responsibility of evangelization, through involvement, by providing opportunities to grow in the Catholic faith. DYLT members act in leadership roles and represent all diocesan youth as a voice for the needs, views, and issues surrounding the young Church. In addition, they seek to grow spiritually and personally as they listen to God’s call and support each other as they discover their role as Christ’s disciples in the Church and the world. All times listed are in Central Time Zone, and meetings are held at the Catholic Center, 4200 N. Kentucky Ave., Evansville. 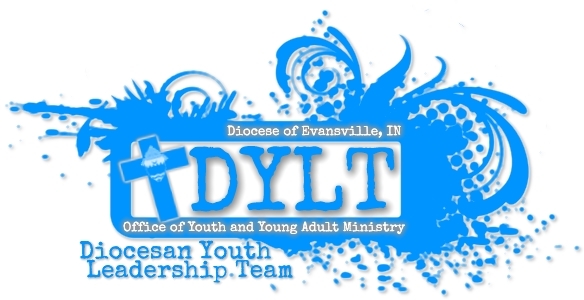 If you are in high school and wish to be a part of DYLT, contact your youth minister or pastor to see whether your parish has selected representatives to send to DYLT, or, contact Steve Dabrowski at SDabrowski@evdio.org. Throughout Lent of 2017, the DYLT has produced daily reflections around the Gospel heard at Mass for that day. These are being shared at approximately 9:15 CST (the first week) and 6:45 CDT (all following weeks) on Facebook, Twitter and Instagram. The "Full-Size Word Document" a copy of the handbook in its usual 8.5 x 11 size. Under page ordering, choose "left to right" or "horizontal"
Each parish's pastor received a DYLT packet in April regarding recruitment of Parish Representatives, Auxiliary Members, and Members-at-Large. Click the "Parish Resources" button to download the documents. The DYLT Application Form can be downloaded by clicking here or the button to the left, and turned in at the next meeting. 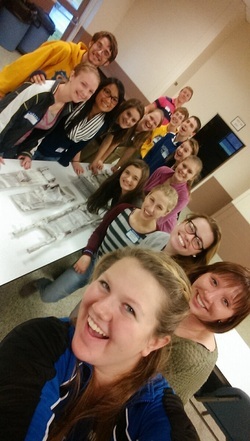 The Diocesan Youth Leadership Team consists of youth committed to growing great ministry for the young Church. If you are a high-school-aged youth and you’d like more information on serving as part of this team, please contact Steve Dabrowski at SDabrowski@evdio.org.